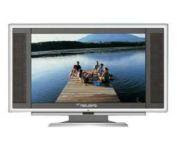 A new range of LCD TVs from RELYSIS offers innovative technical features. The Relysis RLT1720 LCD TV arrives with a TV tuner card, delivering unparallel picture and it can be placed anywhere in home. This is a light weight and a portable product with high quality picture and the display size is 17 inches. The technology type is TFT active matrix with a resolution of 1280 x 768. The image aspect ratio is 16:9 and the image contrast ratio is 400:1. The viewing angle is 160 degrees and the pixel pitch is 0.289 mm. The pixel response time is 16 ms and the brightness is 400cd/m2 with progressive scanning. This Relysis LCD TV has PIP function for multi channel preview. The sound output mode is stereo and contains 2 speakers with 5 watts of output power. The connections include 1 VGA input, 1 Component input, 1 Composite video and audio, 1 S-video input and a RF input. The weight of RELYSIS RLT1720 is 6.5 kg. The dimensions for this Relysis product are 51.8 cm in width, 19.8 cm in depth and 33.3 cm in height. It is also available in both silver and black colours. The price of the product ranges from £446.50 - £446.50 and has 1 year warranty period. Finally, the RLT1720 proves its excellence when connected with an analogue DVD player. You can also read reviews on Acer, Bush, Ferguson, Bang & Oluven LCD Televisions, check out LCD TV News, Guides, and LCD TV best buys at LCD TV Reviews website.